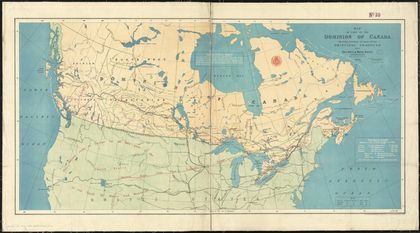 Canada’s size presented a formidable challenge in terms of establishing contact between all the provinces and territories and unifying the country. The end of the 19th century was the golden age of the railway in industrialized countries, and Canada was no exception. During this era, economic development and regional viability were ensured by the railway. Trains brought supplies and commodities. They carried materials and people, and facilitated communication. In Canada, the first real railway was spearheaded by John Molson and other merchants as early as 1836. Initially, it linked cities south of Montréal. Then, its development continued towards New York and Ontario thereafter. The expansion was costly. Building railways was expensive and marked by numerous financial problems. Expenses skyrocketed; corruption, political wrangling and human exploitation at building sites were commonplace. Despite this, the railway was an inescapable necessity of the era. In 1867, the construction of the Intercolonial Railway was a task imposed by the signing of the British North America Act. Its purpose was to ensure the transportation of goods within the Dominion. 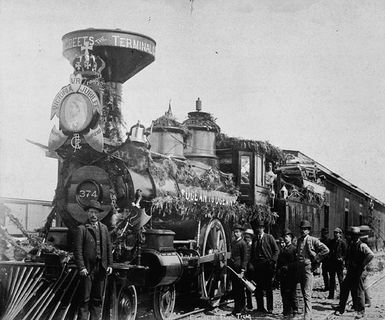 In 1871, British Colombia joined Confederation on the promise that a railway would link the Pacific to the rest of the country. In 1903, Laurier made history with the inauguration of his great railway construction project, the Grand Trunk. Throughout his life, Wilfrid Laurier regularly travelled by train between Ottawa and Arthabaska to return home and be with Zoé.